A favorite with all the kids. Stop Over Resort. North India is known as the head of our motherland “INDIA”. There are many beautiful states and cities in this region. Most of these cities are hemmed-in by beautiful mountains. Apples and berries are the common cultivation of this area. Punjab, Haryana, Uttaranchal Pradesh, Himachal, Jammu and Kashmir are the states of north India. Most of these states are hemmed-in by beautiful mountains. Apples and berries are the common cultivation of this area. Likewise if we talk about staying in north India, there are many home-stays here. One of the best homestay in north India is Stopover Resort located at the foot of beautiful mountains near Panchkula. 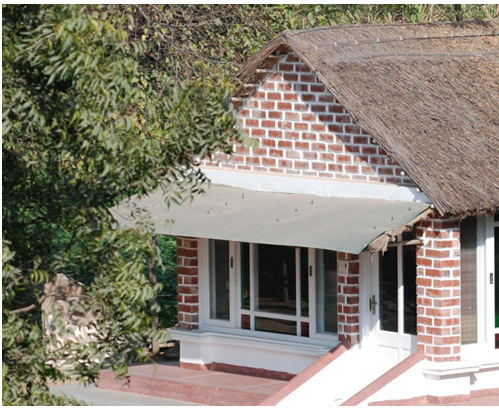 It is a very beautiful resort providing homely environment for their visitors. Stopover Resort is blessed by many pilgrimage sites like Mansa Devi Temple and Nada Sahib Gurudwara and many tourism spots like Chhatbir zoo, Pinjore garden, Morni hills. Along these spots, its campus has many lawns for kids and to relax after dinner. The best part is that stopover resort provides their private cabs to visit these spots. What makes it different from other resorts is that it is located little far from the noisy distraction of the cities also it has an eco-friendly environment. Feed the body well and your mind shall never Starve. Vacationing in a home stay has a multitude of advantages, but at Stop Over, we take it to greater heights. Someone very wise once said, feed the body well and your mind shall never starve. Well, we work both ways. Just as you would for your family, we too are greatly concerned with the purity and nutrition levels of food served to our guests, whether it comes in the form of cooked food or what they would like to cook themselves. A reason why, we have farms of our own within the premises to serve you organic food at its best. It certainly doesn’t get fresher than this! Even for the kids, who are fussy eaters or for those exhibiting traits of being a foodie early in life, there is plenty of variety to tickle, tempt and satiate their taste buds. The sheer variety of the ingrown fresh vegetables offers you tastes that have long been forgotten in the fast-food of the everyday life. So, in just a short drive, not only do you get to beat the hustle-bustle of a stressed cosmopolitan life, but give your kids and yourself a vacation destination that makes each and every one of you happy, relaxed and content. A location that amazes you with its interiors carefully closeted inside nature, tucked away from outsiders and nestled in a home away from home. Like we have already said, the kids will love it just as much as you would too. Located in an absolute picturesque corner of Panchkula, dressed in the best of nature’s green offerings, embellished with organic farms, fountains and sights to soothe your mind for a lifetime, the first feeling you would experience upon arriving here would be this, too good to be true. Stop Over Resort and Home Stays provide you the comfort of a home in the landscape of a resort. If that wasn’t unique enough, you have the choice of preference – a resort or a home stay as your chosen space to vacation in. Well harmonized with cosmopolitan amenities, such as swimming pool, gymnasium, restaurants offering fine dining, gazebos, children’s area, personal vehicles while balancing it with the much-needed ultra-luxurious suites, personalized apartments, farm-fresh organic food and local-sightseeing, this vacation spot gives you the best of both worlds, literally. But if you’re still wondering how it does please the kids, then here is the answer. Just like a traditional thaali that serves something for every taste palette in just one platter, Stop Over Resort has a plethora of activities for kids with as many varied interests of their own. For the toddlers who are far too young to voice out their chosen interest, there is a special children’s area available for them to play around, mess around, create sand castles, and monkey around on monkey bars, colorful swings and plenty of visually compelling distractions to keep them safe and busy. From then on for the slightly grown up ones till the adults who would always choose to be kids at heart, the options run far and wide. For the sporty kinds, there are swimming pools and gymnasiums to keep them fit and strong. The adventurous kinds are in for a real treat – trekking up the hills to camping in the outdoors, some fishing for those keen or organic farming for those who like to get their hands dirty, literally. The book worms have plenty of hammocks and benches by the fountains and along our carefully maintained blossoming gardens, to find a cozy spot and read to their heart’s content. The motto is simple and achievable here, no kid steps out not having had a good time. After all, there is a reason why we have earned the title of being the best place to vacation with kids. At Stop Over Resort, It is a piece of cake for kids. Kids are hard to please but here at Stop Over Resort, it is a piece of cake, and quite a tasty one at that. Starting from removing the hassle of traveling too far to have a vacation, Stop Over Resort is just a short drive away from Chandigarh. They say it is a real pleasure to observe a kid’s mind. The things it imagines is surely something we as adults unlearn over the years. It is considered almost a stress-buster to talk to a kid and hear him/her speak with such innocence and blatant honesty to otherwise serious problems. But, taking this same kid on a vacation can prove to be anything but a stress-buster, in fact the most stressful job ever! Why is this so? Because as much as a kid’s mind wander, its attention span also wanders. To keep him/her engaged and happily engaged at that, is one of the biggest daunting tasks parents face when deciding on a vacation destination. The problem only intensifies when there is more than one kid onboard, in different age-groups and with different interests. Every parent deserves sympathy in such trying times. But that is exactly what they don’t need. Instead they need a solution. The solution residing in a vacation destination that offers a guarantee to keep their kids happily engaged throughout the vacation, while the rest of the family enjoys themselves too. Enter the best place to vacation with kids – Stop Over Resorts. 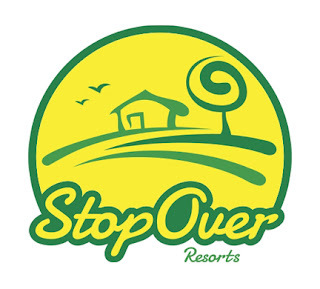 stopoverresorts. Picture Window theme. Powered by Blogger.